There are lots of ways to crochet a circle. But there's a basic formula for increasing when crocheting in the round that keeps a crocheted circle flat. Nobody wants a circle that's wavy or wonky! 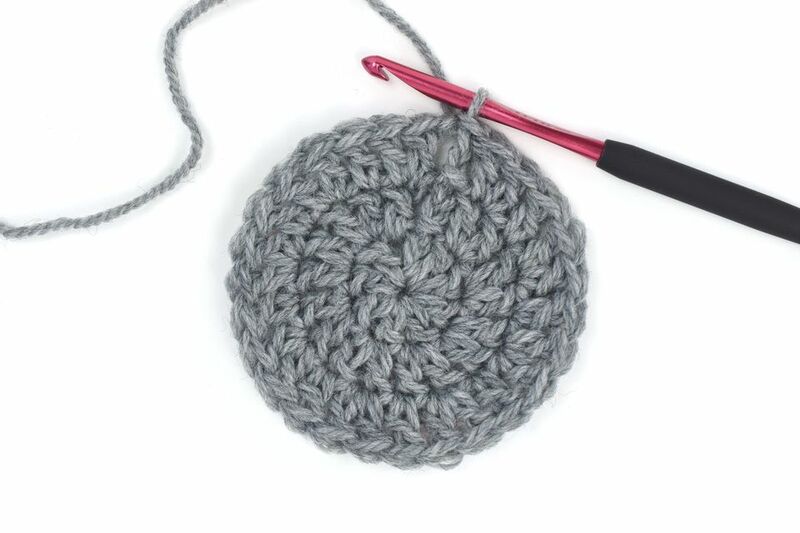 This simple single crochet circle pattern shows you how to crochet a basic flat circle with a solid center. This crochet circle pattern uses the method of joining with a slip stitch at the end of each round. The alternative would be to create continuous rounds that lead to a spiral pattern rather than a circle. It relies on an increasing sequence that is very common when making simple crochet circle. To make your circle like the one in the example, slip stitch through both loops to close each round of the circle. Some other patterns use a variation in which you sl st in one loop only to create a seamless join. When beginning the next round, this circle pattern uses chain stitches to form the first stitch of the round. Some crochet patterns ask you to end off after each round and begin the new round by re-joining your yarn in a different part of the circle. While that method does prevent a semi-visible seam from forming, the version in this tutorial is easier. There is no wrong way of doing it. 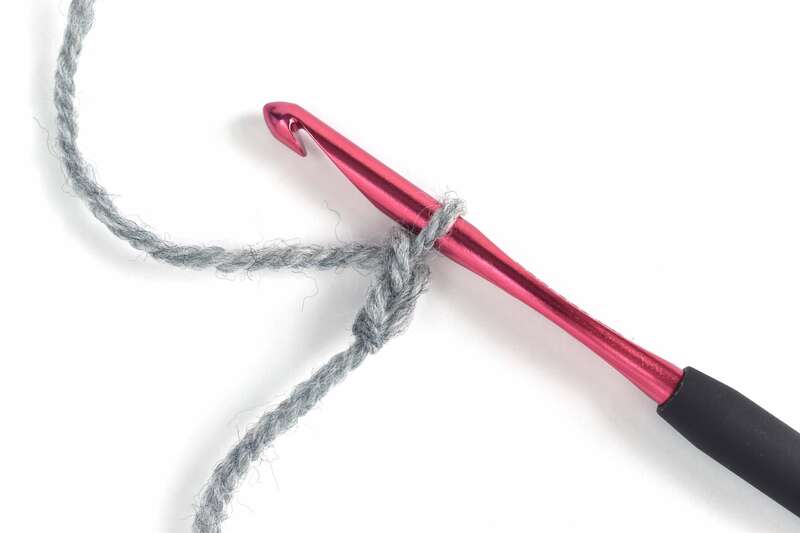 This is a simply a guide to learning how to crochet a very basic single crochet flat circle. You can use flat crochet circle patterns to make a variety of items including doilies, mandalas, coasters, placemats, rugs and blankets. Begin with a slip knot and then ch 2. Make six single crochet stitches into the second chain from hook. Slip stitch to join the end of the round. This circle begins with six single crochet stitches. But, you can start with whatever size circle you want. For example, you could crochet ten single crochet stitches to begin. Chain 1. This counts as the first single crochet of round 2. Single crochet in the same stitch as the base of this chain 1. 2 sc in each stitch around. This gives you a total of 12 single crochet stitches in round 2 of your circle. If you started with a different number of stitches, you should have twice as many stitches as in round 1. Slip stitch to the first stitch to join. Chain 1. This counts as the first single crochet of round 3. 2 sc in the next stitch. * 1 sc in next stitch, 2 sc in the following stitch. Slip stitch to first sc to join. For a crochet circle that started with six single crochet stitches, you will end this round with 18 single crochet stitches. Notice that this is 3x the number of stitches in the first round. Each round of your crochet circle will always be the number of the round multiplied by the number of stitches you began with. (In this case, round 3 x 6 stitches from the first round). If you started with 10 stitches in round 1, you would still work 1 sc, 2 sc, all the way around, and you would end with 3 x 10 (or 30) stitches at the end of round three. Chain 1. This counts as the first single crochet of round 4. Single crochet in next stitch, 2 single crochet in the following stitch. * 1 sc in each of next two stitches, 2 single crochet in the following stitch. If you want to continue growing the circle, continue growing the pattern. In each round, add one more single crochet before the 2 sc (increase) in each repeat. In round four, the repeat is four stitches (1sc, 1sc, 2sc). You might notice now that the number of stitches in each repeat adds up to the same number as the round that you are on. For round 5, you would single crochet in each of the first three stitches then 2 sc in the next stitch. That totals five stitches for the repeat. With each additional round, add another sc so the repeat totals the number of the round. You can end off your crochet circle after any round and it will be great the way it is. However, if you want a circle that has a more finished edge, then you can slip stitch in each stitch all the way around, as shown in the example above. Of course, you can also add a scalloped border or other edging. The starting chain should match the height of the stitch, plus one. The height of the chain at the beginning of each round should match the height of the stitch. This is like the differing heights of a turning chain when working in rows instead of in the round. Otherwise, it's all the same. Use the guide for round one when choosing how many stitches to start with, then increase in each round following the same basic math.